When I started my graduate studies in Uppsala, Sweden, I never guessed I would end up spending a lot of time in northern Uganda, the epicentre of a most brutal war between the Lord’s Resistance Army and the Ugandan armed forces. Rather, my initial intention was to go to the peaceful shores of Lake Victoria and the Kampala area in central Uganda, to study the complex interplay between the cultural and political leadership as it played out in the famous Buganda kingdom in the late 1990s. Back then, as I was trying to figure out a more specific research agenda, I found myself aimlessly scanning the secondhand bookshops of Uppsala, in search of anything that I could find on Uganda. Among other books, I came across a torn first-edition copy of James Frederick Cunningham’s Uganda and its Peoples from 1905. It cost me some eight pounds. This coffee-table-kind-of-book covers most of the then British protectorate, although it focuses, as has been the historical and academic bias ever since, on central Uganda and the indigenous kingdoms under British rule. The so-called tribes of Uganda and their racial characteristics are listed in pseudo-anthropological chapters that turn sketchier the more geographically peripheral to the capital Kampala they are. In a parallel development, the more geopolitically peripheral the more primitive the people described are alleged to be. So when John Hanning Speke and James Augustus Grant famously crossed the Nile on their journey from Buganda to Khartoum, the Australian journalist Alan Moorehead proposes in The White Nile, his 1960 book, “the tribes grew increasingly more primitive; they were back in a region of naked, painted men who carried bows and arrows and who knew nothing of the arts and crafts of Buganda.” Here Moorehead reproduced an imperialist and truly Eurocentric gaze that I was to spend considerably energy critiquing in my own work. Back in 1996-97, in search of a focus for my Ph.D. research, I eventually shelved Cunningham’s book and Moorehead’s ethnocentric bias to instead focus on the civil war in northern Uganda where I came to study young adults coming of age in the shadows of war and colonial history–portrayed in Living with Bad Surroundings from 2008. It all came to surface again a few years back when I reviewed Neil Kodesh’s inspiringly dense book on clans and health in Buganda, Beyond the Royal Gaze from 2010. Kodesh offered me a golden opportunity to return to Cunningham’s old book. For the dust jacket to his book, Kodesh borrows a spellbinding photo from Cunningham’s book, which turns out to be a beautiful and very smart illustration of his project to reanalyze the historiography of the precolonial Buganda kingdom. To be able to analyze clanship as an organizing tool for community building and collective health, Kodesh investigates healing rituals and the creativity of power. I read it, and I took out Cunningham’s book from the shelf, where it silently had been waiting after my decision to drop the idea to go to Buganda to instead focus on the war in northern Uganda. Only now I realized that Cunnigham himself had dedicated my copy of the book to someone living in the protectorate. Eventually it was bought by a Swede visiting Uganda in 1958, simply to end up in an Uppsala bookstore in the mid-1990s. With this amazing journey in mind, I visited abebooks.com, the online marketplace for “new, used, rare and out-of-print books.” Stunned I realized that a first edition copy of Cunningham’s book, of which there were only a few available, costs from 67 to 175 pounds, depending on the condition. The cheapest copy, a seriously damaged library discard, had lost its map and several of its illustrations. The unreservedly more expensive book was in a better condition than mine. Still, with a signature and a self-confident dedication from Cunningham himself, mine triumphs. But this visit to the Internet and my student-day memories of the dusty secondhand bookstores of Uppsala, I have to admit, is nothing but a kind of freakish colonial nostalgia. Kodesh’s book, on the other hand, gives sober insights into the intellectual and political milieu in which Cunningham presented his book on the Uganda protectorate–a milieu basically consisting of a dominant royal gaze in Buganda domesticated by missionary agendas and colonial anthropology and administration. “The most widespread interpretation at any given moment,” Kodesh tells his readers, “represents the outcome of considerable struggle.” One could perhaps say that in focusing on the multiplicity of such struggles, Kodesh’s book becomes part of the very struggle itself. I like to see my own work in the same light. Here is a struggle that gives real life to books, and in this particular case, to the history of Uganda. Here are books to return to, many times, not least because they invite us to read other and even older books as well. Indeed, for me, to read all these books on Uganda and East Africa is like a never-ending explorative adventure into the heart of Africa and the colonial library–into our colonial past really. 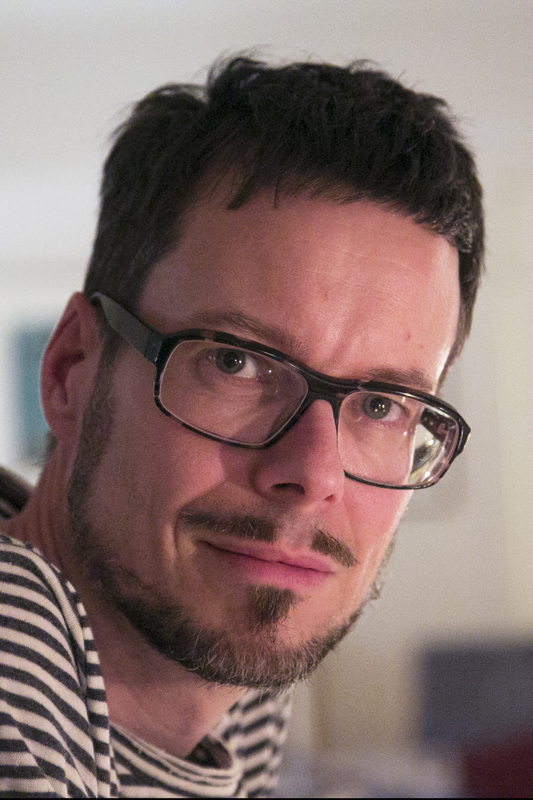 Sverker Finnström is Associate Professor of Cultural Anthropology at Uppsala University. His most recent books are Living with Bad Surroundings: War, History, and Everyday Moments in Uganda (Duke UP, 2008), for which he was honored with the Distinguished Margaret Mead Award, and Virtual War and Magical Death: Technologies and Imaginaries for Virtual Killing (Duke UP, 2013). The image featured at the beginning of this post is of stone steps in Entebbe, Uganda by Roy Waddington.